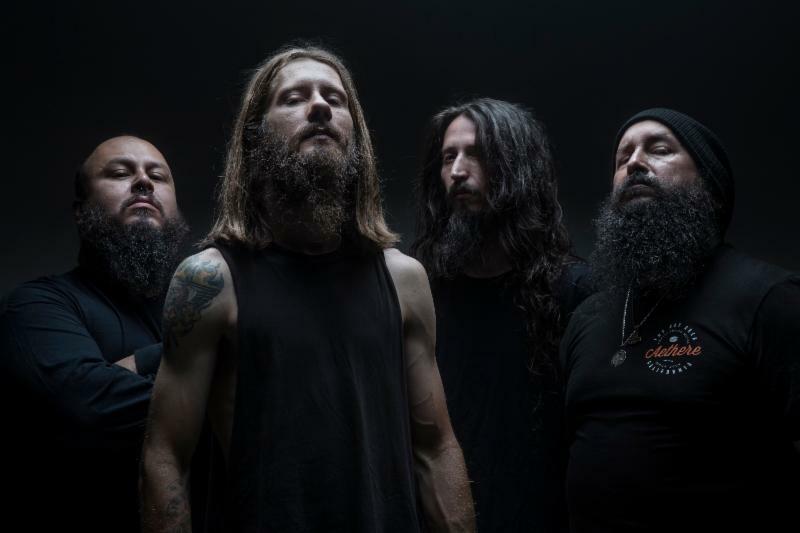 Heavy metal frontrunners INCITE – led by frontman Richie Cavalera – are set to release their upcoming fifth full-length album, Built To Destroy, this coming Friday, January 25, 2019 via Minus Head Records. Produced by Steve Evetts (The Dillinger Escape Plan, Suicide Silence) and mastered by Zeuss (Rob Zombie, Hatebreed), Built to Destroy is a visceral, urgent, voracious distillation of modern metal with reverence for the past, and boasts a progressed, matured sound for INCITE. 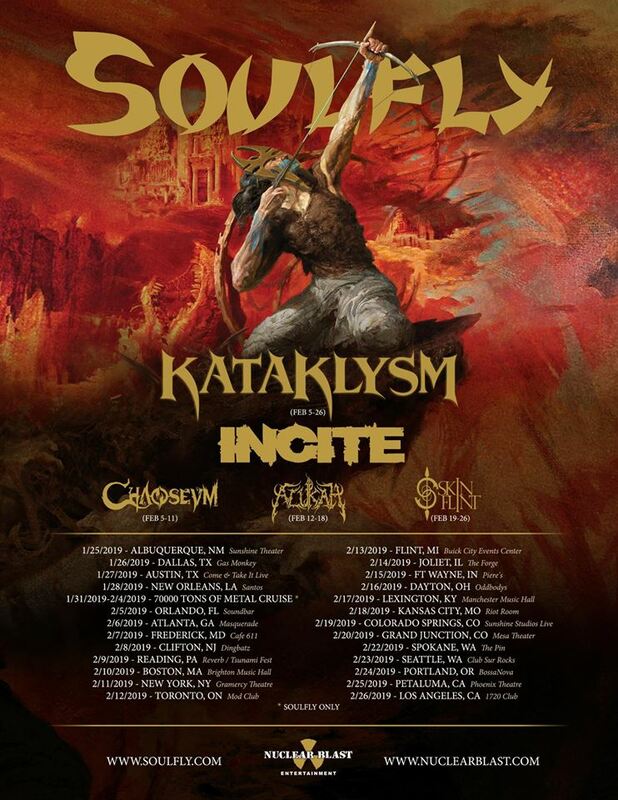 INCITE will kick off their massive North American tour with headliners Soulfly and direct support artist Kataklysm this Friday, January 25! The tour will visit several cities across North America, coming to an end on March 1 in Window Rock, AZ. The tour will feature additional support from Chaoseum, Alukah and Skinflint on select dates. Tickets are on sale now. See below for all confirmed tour dates! Nearly 15 years into a career in which everything they’ve accomplished was earned and nothing was taken for granted, Built To Destroy lands as a jaw-dropping showcase for INCITE. Frontman and band founder Richie Cavalera delivers stark examinations of a shattered psyche, through guttural snarls, with vivid dynamics and power. There’s a harmonious discordance with the near-deathcore pummel of fluid bassist “EL” and powerhouse drum basher Lennon Lopez, who both worship at the altar of groove. Peppering the album with more solos than ever before, guitarist and principal songwriter Dru Rome truly shines. Rome’s lead guitar work recalls the glory of Arise-era Sepultura, harnessing a stadium-worthy energy, drawing upon his dual experience as a trained violinist. Both Kirk Windstein (Crowbar) and Chris Barnes (Six Feet Under) guest on the album. With certified bangers like “Ruthless Ways,” “Resistance,” and the album’s title track, “Built To Destroy” joins an impressive and steadily growing catalog of albums – Oppression (2016), Up in Hell (2014), All Out War (2012), and The Slaughter (2009) – all of which have produced a number of songs now near-and-dear to the INCITE faithful. As renegade disciples of trailblazing metal architects like Pantera, Slayer, Sepultura, and Machine Head, INCITE raise the torch for trend-killing and hipster-smashing metal. 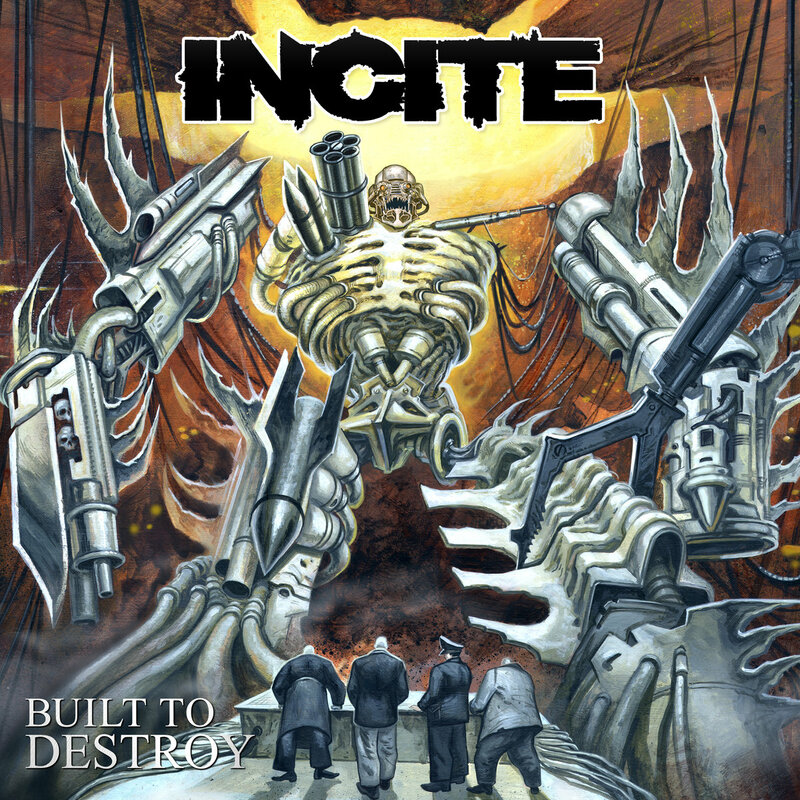 INCITE maintain their dedication to realism and brutal gimmick-free music with Built To Destroy.